For anyone who has uncomfortable smiling due to different issues with their teeth, a trip to a cosmetic dentist could be the best visit they make. From discolored teeth to cracks and chips, it can feel as though it might be impossible to get back a smile to be proud about showing off. Regardless, with progress in dental technology development, as of now it is much more straightforward than at any other time for patients to get a smile they are satisfied with. 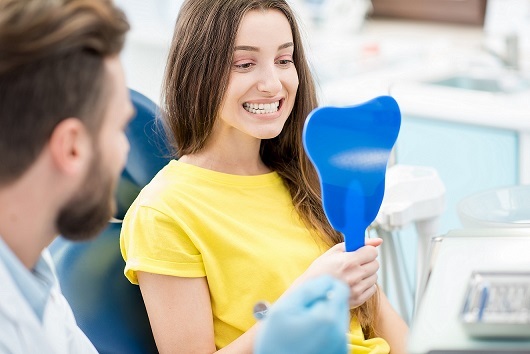 Corrective dental experts have the focus of changing their patient's teeth using different procedures to get them a grin they are happy to show. There is a broad scope of strategies and systems that a cosmetic dental specialist can utilize for their patient to get the grin they want. Regardless, it is fundamental for the dental specialist to give a full examination that gives him or her the ability to make a plan for the patient to accomplish their teeth goals. Since every patient is different in their requirements and the state of their teeth, there is not an across the board method that cosmetic dental pros will propose. Nevertheless, guaranteeing that the patient's desires are met and pinpointing what ought to be done to change their teeth into something they are glad about, it can usually be finished reasonably effortlessly utilizing one or two procedures and strategies to acquire the ideal look. What procedures do cosmetic dentists commonly recommend? Of course, each person will be unique in what they will require to get the bright white smile they have been wanting. That is why it is essential for a cosmetic dentist to take the time and do a full examination and consultation on each patient to determine what would be the best procedures to use. The following are some of the most common that cosmetic dentists suggest, but it will be determined on the patient's specific needs. Dental veneers are a thin shell that is wafer-like and fits over the teeth. After being made and built based off a form taken of the patient's teeth, the veneer is bonded to the teeth using a specific bonding formula and will cover chips, discolored and cracked teeth. One thing that cosmetic dental specialists generally propose is teeth whitening treatments. While having teeth whitening done, it is a conventional method that the patient will have whiter teeth that are typically at least eight shades more white than before the treatment. For patients that are missing one or more teeth, dental implants are a fantastic decision for somebody to get. They take the characteristic of someone's natural teeth and help to shield and stimulate the jawbone which helps it from weakening over the long term. Have more questions about how helpful cosmetic dentistry can be to change and improve your grin? Call our office, and we would be glad to answer any additional questions you may have. Get in touch with us today!